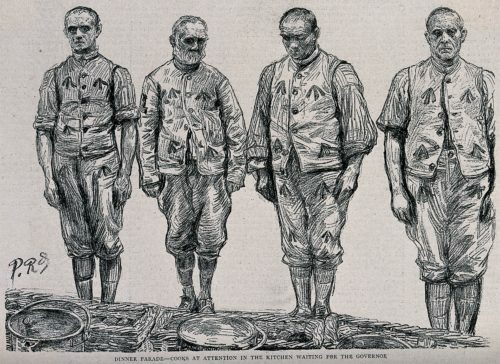 Four cooks in prison uniform standing in a line in front of buckets and baskets, at Wormwood Scrubs Prison, London. After P. Renouard, 1889. 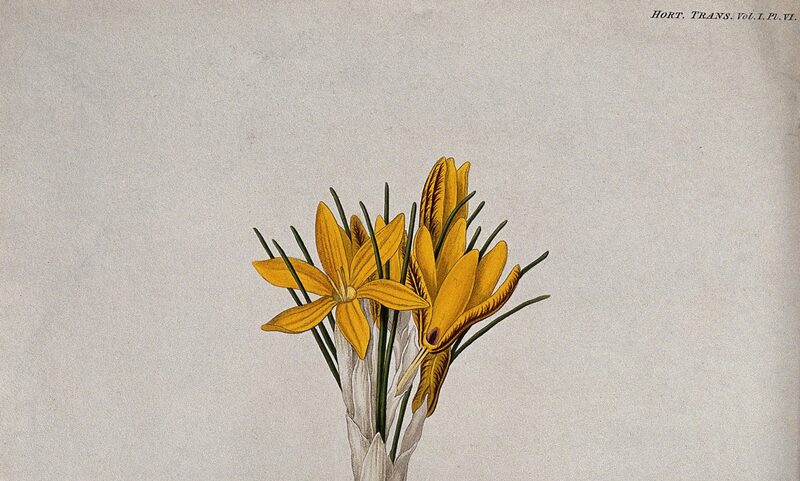 Image courtesy of Wellcome Collections. It was in this spirit, then, that Manual of Cooking & Baking appeared, in yet another effort to uniformly administer prison diets across Britain. The 1902 text outlines a relatively robust set of instructions on the selecting, cooking, and serving of food. First, cooks and bakers were responsible for attaining and inspecting ingredients. Beef, fish, eggs, milk, butter, cheese, bacon, fowl, vegetables, peas, beans, ice, sugar, tea, wheat, and oatmeal were to be examined and carefully measured for freshness, size or weight, and overall quality. Readers were then instructed on the official methods of cooking in H.M. Prisons, which consisted of “boiling, steaming, baking, roasting, stewing, broiling, and frying,” the latter three primarily confined to “Hospital or Sick-room Cookery” (45). 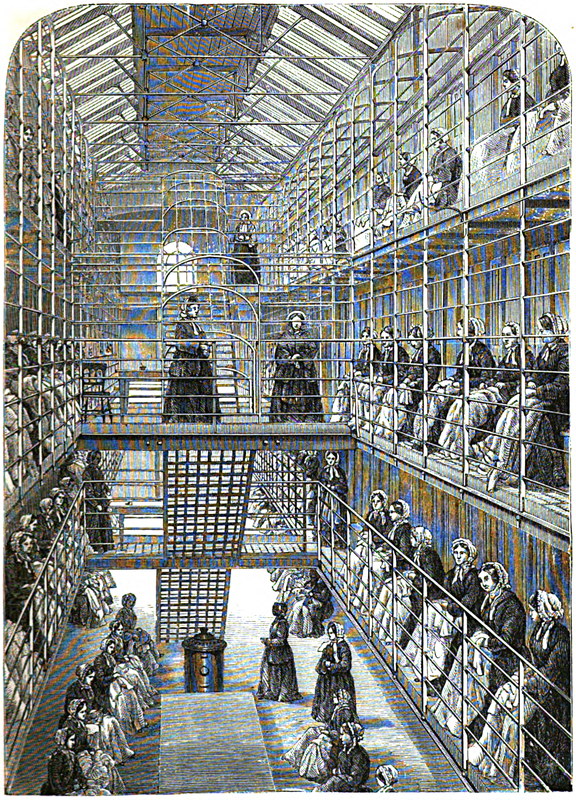 Female convicts at work in Brixton Women’s Prison. 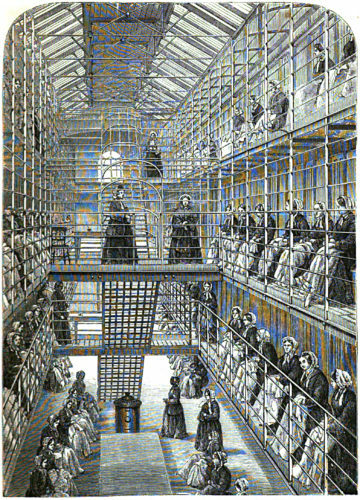 From Henry Mayhew and John Binny, The Criminal Prisons of London and Scenes of Prison Life (London: Griffin, Bohn & Co, 1862), page after 196. Image courtesy of WikiCommons. Having procured desirable ingredients and employed various cooking methods, what did prison cooks serve for inmates’ daily meals? 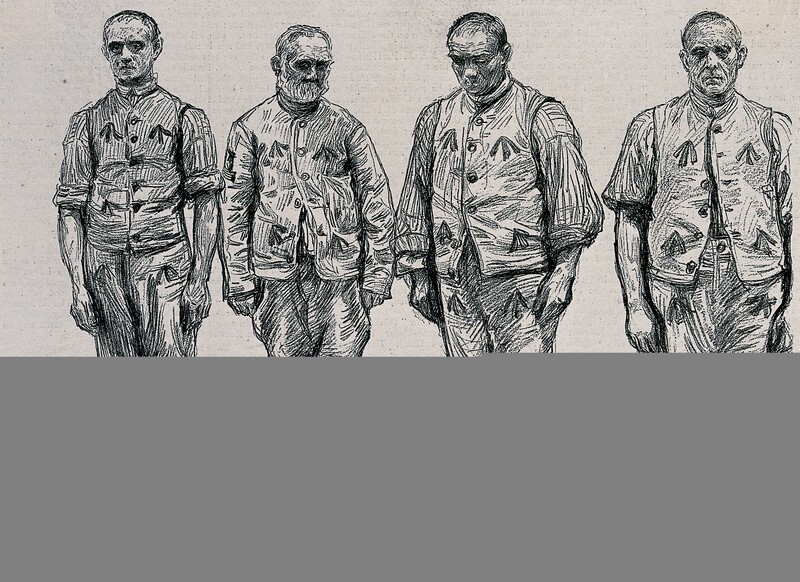 From 1899, local and convict prison diets were divided into five categories – Diets A, B, C, D, and E – with food diversity and allowance increasing with each letter. The meanest of diets, Diet A, consisted of bread and either gruel, porridge, potatoes, or suet pudding. [iii] Diet B added cooked meat to the mix, as well as beans and soup. Diet C received tea instead of gruel, with breakfast and cocoa for supper. Finally, Diets D and E received similar foodstuffs but in greater quantities, as they applied to male convicts assigned to labour details. The designation of diets depended on the length of stay of inmates: the longer the stay, the richer and more diverse the diet. [iv] The lack of variety and quality of food for short-term inmates was to dissuade “temptation to the loafer or mendicant,” who reportedly got themselves thrown in prison for the steady meals. 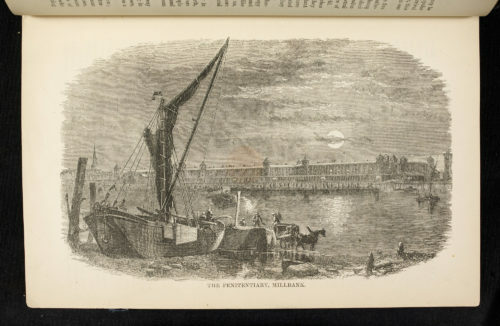 [v] Meanwhile, long-stay male labourers received a seemingly varied diet: bread and butter, potatoes, fat bacon, cooked mutton, pea soup with pork, cocoa, and cheese. If we are to believe the cooking instructions, these dishes were prepared in sanitary conditions with acceptable cuts and ingredients, under the careful watch of a state-appointed cook or baker. However, as we know, what’s written in guidebooks and prescriptive literature doesn’t always reflect the realities of life on the ground. Food functioned in the institutional setting as a mode of control and bodily regulation of incarcerated subjects, a trend that is clear in alternate accounts of prison life. For example, the anonymous author of 1877’s Five Years Penal Servitude by One who has Endured it described a common punishment for unruly behavior—“smashing the teapot”—in which an inmate’s tea was traded out for gruel until he regained his standing. [vi] During the Gladstone Committee, inmates complained of the nauseating quality of foods, which caused diarrhea and other digestive ailments. Meanwhile, following his release from Reading Gaol in 1897, Oscar Wilde described the systematic underfeeding of child prisoners. Such trends were supposed to diminish following the circulation of texts like Manual on Cooking & Baking, yet no doubt endured in some institutions. [vii] In this way, prison dietary guides speak to objectives rather than material conditions, laying bare potential disjunctures between recipes and realities. [i] See, for example, Michelle Higgs, Prison Life in Victorian England (Stroud: The History Press, 2013), Chapter 7; and Sean McConville, A History of English Prison Administration (New York: Routledge, 2016) 303-305. [ii] Higgs, Chapter 7; McConville, 313. [iii] This diet replaced the “No. 1 Diet,” a category dating from the mid-century. It was a restrictive diet of gruel which, as historians note, could result in death if misapplied to short-term inmates doing labor. McConville, 306-307, 310-313. [iv] Diet A applied to those serving seven days and under; Diet B came into effect after seven days; and Diet C came into effect after four months stay, for the remainder of an inmate’s term. [v] Quoted in McConville, 690. Men, women, and minors received the same diets, albeit in different quantities with women receiving less food overall (save for Diets F and G, designed for female convicts and allowing two ounces of golden syrup with suet pudding for “those female convicts who desire it”). [vi] Five Years’ Penal Servitude by One Who Has Endured it (London: Richard Bentley & Son, 1878), 86.